Want to learn sign language in Nottingham? 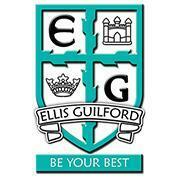 Action Deafness is working partnership with the Ellis Guilford School and Sports College to provide sign language courses starting in September at our great new venue. Jaz Mann, Head of Services at Action Deafness, said, “I’m impressed with the ethics of the school, and their motivation to offer British Sign Language courses at Levels 1, 2 and 3. It’s a great opportunity to work together, reaching out into the community to encourage people to learn, ultimately improving hearing people’s ability to communicate with deaf people’”. A great opportunity for two organisations to come together to offer an exciting, challenging and fun course, that also has a positive use in the community!